I was born in Prineville and grew up in rural eastern Oregon in the 1950’s. Prineville had four active sawmills and several secondary wood manufacturers. Unemployment was low, and jobs were readily available. We were proud of our work and what we contributed to the wealth of the state. We had the opportunity for education, a career, and advancement if one had the desire to work hard to achieve our goals. Now after nearly sixty years of carrying the belief that rural Oregon residents could have these expectations and make their own way, I no longer believe it is true. Something has changed in Oregon, and maybe in the United States in general, regarding opportunities for people living in rural communities. Rural Americans have become some of the most forgotten and discriminated against people in our society. I offer this perspective based on current government policies which have put the needs of rural Oregonians behind those of eco-alarmists, obstructionists, ill-informed judges and misguided lawmakers who haven’t taken the time to walk a mile on rural streets or understand the role we play. Many of Oregon’s rural communities were built around the timber industry, which prospered after World War II. Our federal government made a contract with rural Oregon that they were going to manage our national forests and BLM lands, and in lieu of paying property taxes, those forests would help provide jobs and pay a portion of the timber stumpage receipts back to the counties in the form of road and school funds. This was a win/win situation for our forests, our rural communities, and for Oregon. During the 40’s and 50’s, Oregon had an influx of people from states like Oklahoma, Arkansas, Minnesota, Kentucky allured by the growing forest products industry. While these people were not minorities by ethnic standards, many of them faced similar hardships to those faced by migrant farm workers. They left the Dust Bowl to live in logging camps and to work one of the most dangerous occupations in the country. The grit of these people built the roots of communities throughout the Pacific Northwest. 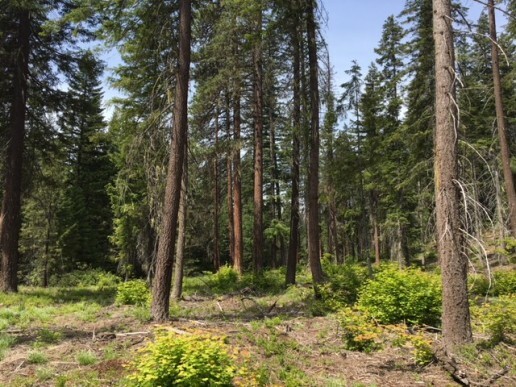 The opportunity for many rural Oregonians to carve out a lifestyle, maintain independence, and flourish was provided by the forest products industry and by federal forest management policies. As a result, Oregon, and Oregon’s rural communities, flourished for most of the 20th century. Timber in Oregon was big business, growing to become the state’s largest industry. Rural Oregon was proud of its role in the state and contributed to economic health just like their urban counterparts in Portland, Eugene, and other cities. Beginning in the 1990’s federal forest policies began changing, with implementation of the Northwest Forest Plan in western Oregon and the development of the East Side Screens in eastern Oregon. Harvest from public timber land was greatly reduced (by over 80 percent). However, even those reduced harvest levels were never again reached and our legislators have done little to help deliver the promises of sustainable harvests from our federal forests. There have been many missed opportunities throughout the past fifteen years that could have increased harvest levels and helped struggling rural communities near our federal forests, but partisan politics and misinformation regarding sustained forest management has prevented any meaningful actions in the forests and left dozens of sawmills idled. When opportunities do arise for rural Oregon we often find they are minimized or rejected as with blocking the implementation of the Bureau of Land Management’s Western Oregon Plan Revision. This plan was the culmination of five years planning and called for a sustained harvest of timber from O&C county lands while creating 1,200 new jobs and preserving 3,800 additional rural Oregon jobs. Legislators appear to be siding with environmental extremists who have denounced sustainable forest management policies and prefer to see rural Oregon living on unemployment rather than on forest products jobs coming from BLM timberlands. Unfortunately, with those policies and attitudes in place, communities like Prineville, Baker, North Powder, Burns, and a host of others have no sawmills or the jobs and dreams that go with them. Well-meaning forest management legislation that has been proposed in recent years is misguided. 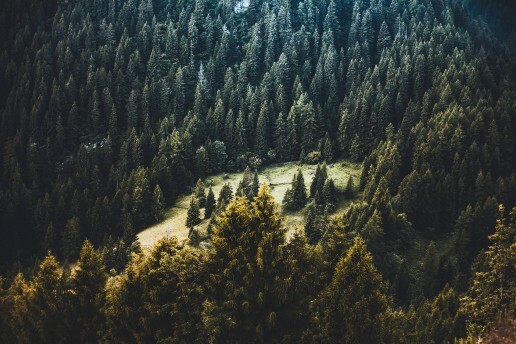 Instead of opening up areas for expedited forest health harvests, these laws would only take another slice out of forest management opportunities by limiting the ages of trees that can be harvested and also put more forest land off-limits to management. These limitations would also remove a certain segment of the industry infrastructure that relies on larger trees from being able to access federal forests, thus further breaking down the contract with rural America our government once honored. Rural Oregon residents, the federal forests, and the forest products industry are much like a garden that needs to be tended and watered. If you cut off the spigot of management dollars and treatments for the forests as has happened for the past decade and a half they will all die! We need our Government and legislators to understand that only a healthy forest products industry will deliver our rural Oregon towns from double digit unemployment; not promises based on tourism or other such panaceas. Our forests need managed, not just set aside to burn. They need the spigots of active management turned back on to allow them to flourish along with the forest products industry located there; and our rural citizens need the opportunity to once again have family wage jobs and opportunities and hope for the future.